Fatgirl Hedonist: No frills, just good food at Jimmy's Eastside Diner! 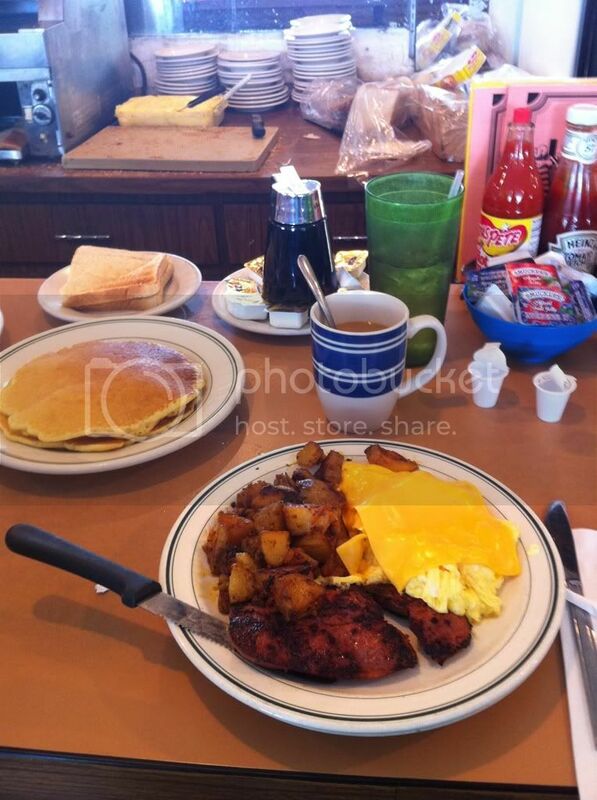 No frills, just good food at Jimmy's Eastside Diner! If there is one thing I really like is good ol’ diner food. Unfortunately, there aren’t a lot of real-deal diner options in hip and trendy Miami. 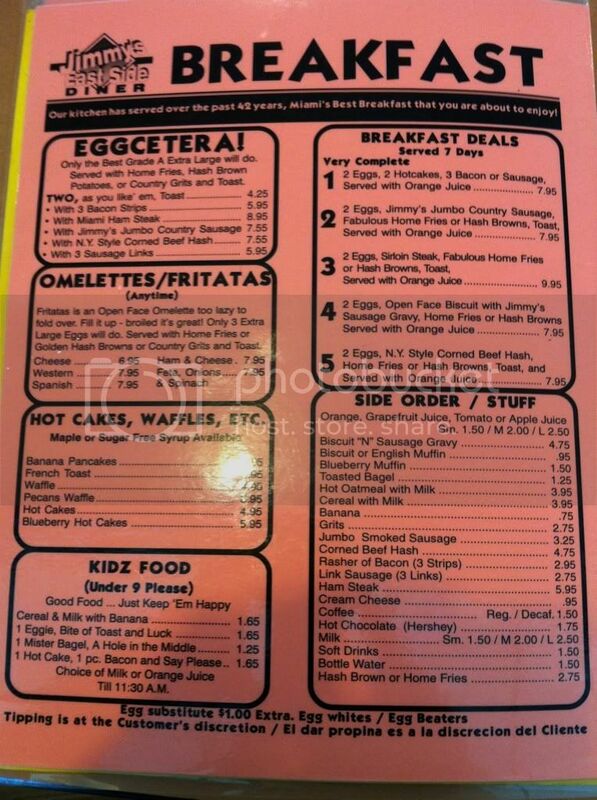 Jimmy’s Eastside Diner is a great little diner tucked away in north east Miami on Biscayne Blvd. The minute you walk in you realize the place is bright and welcoming. The host’s desk is surrounded by news paper clippings and local ads and the waitresses are buzzing about with orders and dishes. On the weekends you can expect to wait for a booth since this place is always packed. If you’re with a small enough party, I suggest sitting at the bar. The service at the bar tends to usually be quicker because there are friendly waitresses running around like chickens with their heads cut off. Even though the waitresses are always in a hurry, the majority of them are always friendly and jovial. This is a ‘no frills’ kind of place, the menu’s are printed on colorful paper and laminated, the food is on the same wavelength, no frills just the good stuff. On my last visit, I sat at the bar and decided to have breakfast. I went with a regular cup of coffee, a short stack of pancakes and their #2 breakfast combo which consists of: 2 eggs, Jimmy’s Jumbo Country sausage, home fries or hash browns, toast and orange juice. This plethora of food only cost me $12.00. If you want quantity and quality for your breakfast, you should definitely check this place out. 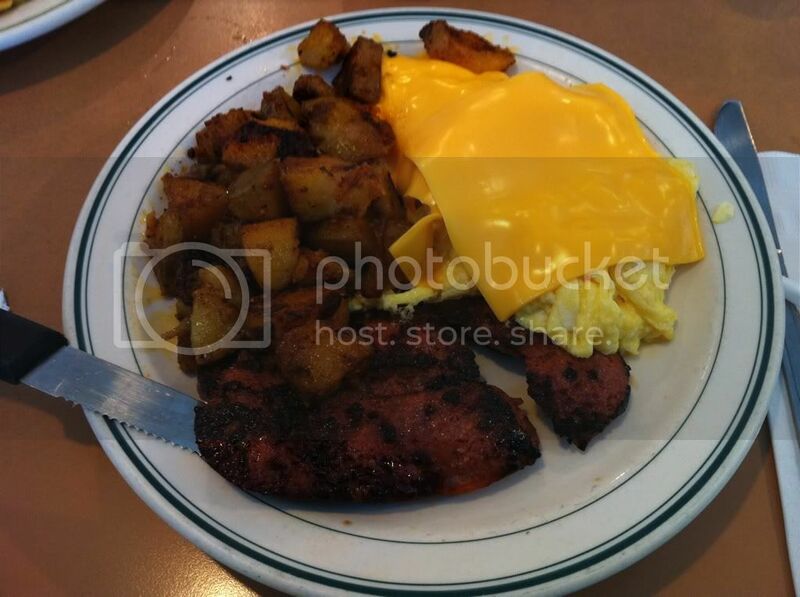 I ended up getting my #2 combo with scrambled eggs with cheese on top, home fries and white toast. My scrambled eggs were soft and fluffy, the cheese on top was regular American cheese (remember no frills!). The home fries were killer; they had a spicy almost Cajun seasoning to them that made them irresistible. The sausage was also on the spicy side and really great. The pancakes were simple, fluffy, aunt jemima-esque hot cakes. 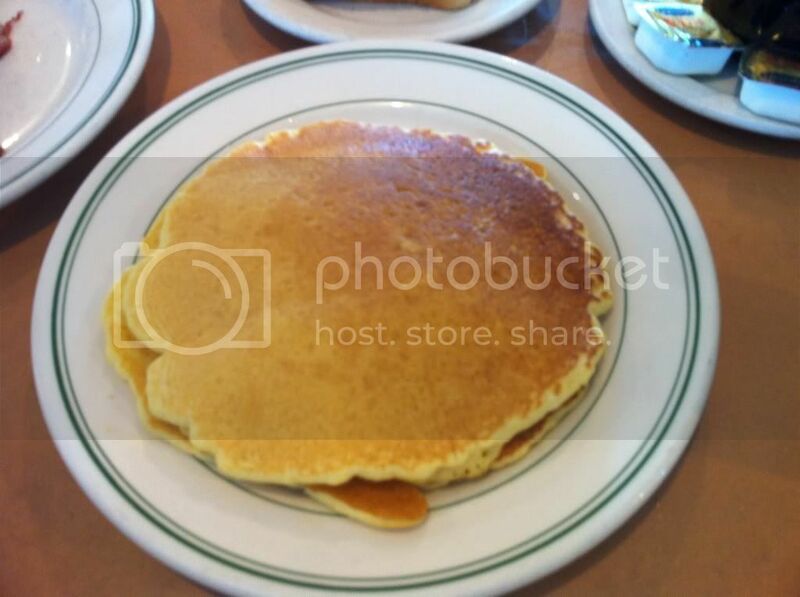 Nothing to write home about in regards to the flavor or texture of the pancakes, but hot and fresh none the less. I soon realized I had ordered way too much food, luckily for me I was with my human food compressor (my best friend). Whatever I couldn’t finish, he inhaled. This family friendly diner truly is a rarity in the upscale and trendsetting Miami food scene. It’s a laid back place that offers simple and good food at very reasonable prices. Always one of my favorites to soak up a bad hangover and definitely a place to check out if you’re ever in the Miami Shores/ north east Miami area.